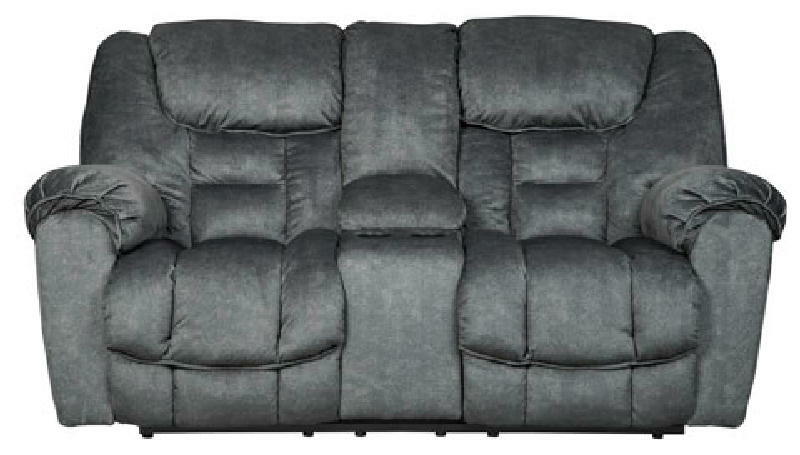 Sometimes seeing is believing. 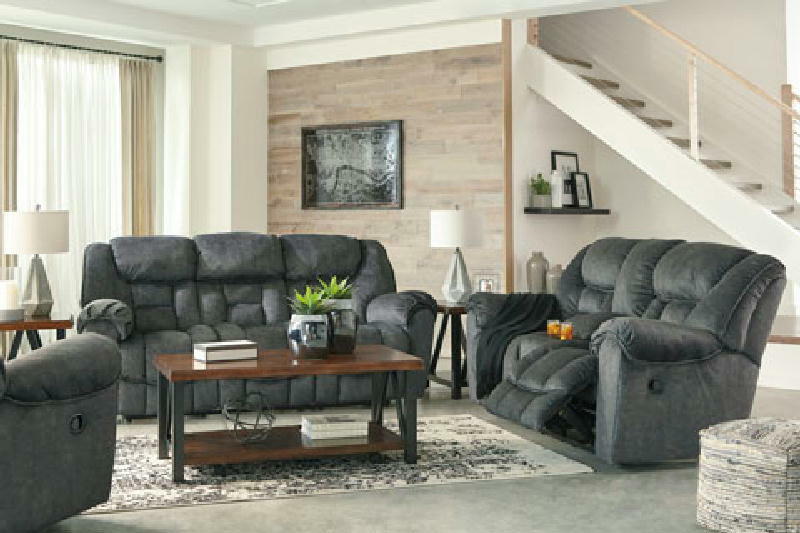 Rest assured the Capehorn reclining sofa is every bit as indulgent as it looks. 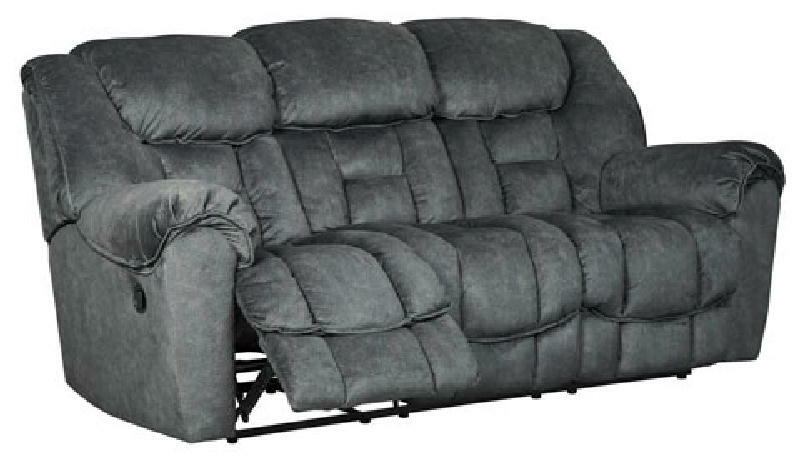 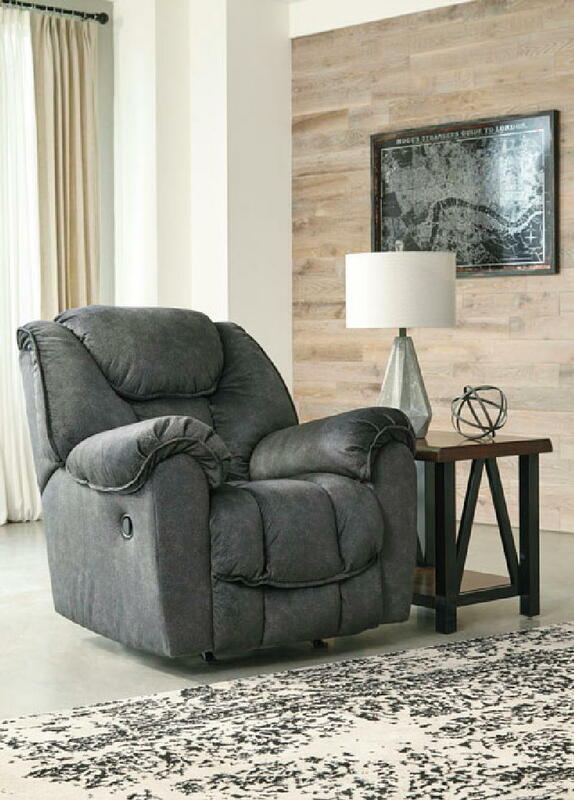 Designed to put you in the lap of luxury, this generously scaled reclining sofa wrapped in a wonderfully plush and practical granite gray upholstery?sports scooped pillow wrapped armrests and curvaceously cushioned head-neck support for feel-good flair.